The lack of winter rain and snowfall has resulted in drought conditions throughout the State. Some local water agencies are implementing mandatory conservation orders. Reservoir levels are down significantly from where they should be on average for this time of year. Severe impacts to municipal water supplies, agriculture (plants and livestock) and firefighting capabilities are likely now and in the near future. In early January the Governor established a Drought Task Force to oversee and coordinate the state’s response to this event. On January 17, the Governor proclaimed a State of Emergency and directed state officials to take all necessary actions to prepare for these drought conditions. In the declaration, the governor put water rights holders on notice that allocations may be reduced or suspended, directed state officials to assist farmers and communities, authorized hiring seasonal firefighters, urged all Californians to reduce water use by 20%, and initiated a water conservation public awareness campaign. 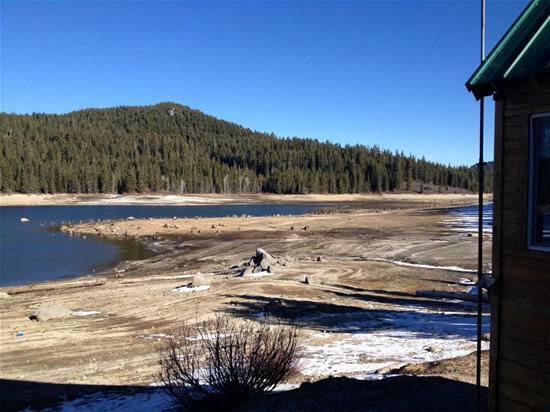 The Board of Supervisors on February 14, 2014 formed a Drought Preparedness Task Force to help coordinate drought-related activities. The committee was structured with two supervisors but will be flexibly staffed and supported, so that various staff can provide expertise based on current topic, interest and need. Many local agencies are activating working groups to coordinate local planning, mitigation and response activities. Some cities and a few counties have declared a local drought emergency to draw attention to local issues or anticipated needs but the governor’s declaration includes all political subdivisions of the state. In addition, the U.S. Department of Agriculture (USDA) has designated 27 counties in California as primary natural disaster areas due to the recent drought. Farmers and ranchers in those counties in California could qualify for natural disaster assistance. On Wednesday, February 19, 2014, Gov. Jerry Brown and legislative leaders announced a $687 million proposal to respond to the impacts of California's drought including efforts to clean and recycle water, improve conservation, capture rain, and give emergency food and housing assistance to farm workers, who will be out of work because of fallow fields. The following links provide additional information related to various community interests. Save our Water - This program offers ideas and inspiration for permanently reducing water use.